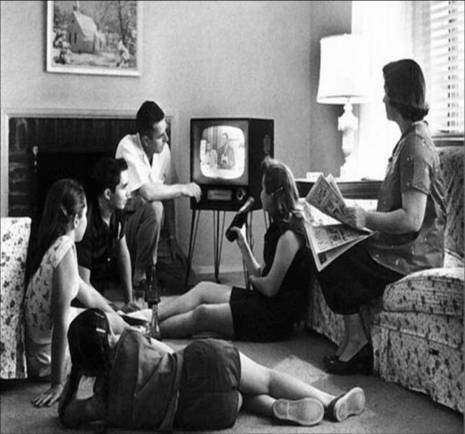 It is a mystery and an a feat, how my household survives without TV during the school year. My children do complain and then O.D. on their programs all summer long. Most people are surprised that my husband and I accept the sacrificefor our kids sake. But everyone invariably asks us: "Don't you miss watching the news?" They are probably referring to CNN International and BBC World. To be honest, I can totally live without those channels, even though I give Hala Gourani the credit she deserves. Although we miss on "breaking news" and Obama's speeches, we survive on the written press and the internet. In fact, from the USA, I miss NPR news on the radio more than I ever miss CNN! In strong paradox to what I have mentioned above is my behavior during the summer months. In Switzerland and in France, the 8 pm news becomes a family ritual for which I am the enthusiastic conductor. I don't watch anything else on TV in Europe. However, as soon as "Le Journal de 20 heures" turns on, as the French call it, I push everyone and everything aside, and take control of the remote for a half hour. I switch channels from France 1 to France 2, depending on what is being covered. In France, news coverage is not sensationalist. It is a soft ritual of domestic, regional, international and cultural/sports news. Its slow tempo relaxes me. The presenter has a monotone and familiar voice, rarely fluctuating with a smile or two. There is no drama, even in the even of a catastrophe. Mostly, we watch important trivialities: olive picking, the infamous French strikes in transportation, baccalaureat results, President Sarkozy's official and non official trips, ballets at Avignon, the G8 summits, traffic congestions for vacationers. I insist my children watch too. They have become accustomed to the randomness of the news stories. I always remember my two grandmothers watching the news. The Palestinian one used to watch the "Akhbar" of the post colonial Arab world, always dramatic. The American one settled in her armchair, with a bowl of fruit, for the 6pm news with Peter Jennings or Dan Rather, with even more drama in a post 9/11 world. The evening news truly is a down time for us all. Raised in Beirut in the 50's,the opuim of the masses was Radio "Sawt al Arab" and its famous demagogue Ahmad Said,blaring out propoganda that brought the Arab world to its miserable stance! We graduated into the Black and White state TV station in the 60's,where boring state functions were screened for hours, awaiting the one or two Arabic or western programs. On my first visit to Los Angeles in 1972,I was jolted by the vibrant color American TV news programs on CBS,ABC and NBC.Professional anchors were competing every evening to bring out the latest on the evening national news hour. Dubai's TV only channel came out in the 80's,with a folkloric style showing the development of the young nation,and giving reels of news from around the world,brought in unabridged from Reuters,France Press and some Arab news agencies. Then came cable news with CNN pioneering the 24-7 news around the world.The programs started factual,then became commercial,emphasising excitement and gorey news.That is why the blogger took shelter in the normal,boring everyday news of the French TF1,with provincial news on communes and everyday French problems,with little attention to international news! What I love about modern news is the new witty sarcastic element that's been introduced by guys like Jon Stewart & Stephen Colbert. It's amazing as well how once governments used to edit the news to suit their interest (especially in our part of the world) and how you can hardly get away with it today. I loved how the photo-edited by Al Ahram where president mubarak was placed in Obama's spot has become such a embarassment for the state run paper. It's time these guys stop pulling such stunts. In the age of information diarrhea, one needs to get his news from selective sources. One cannot be one sided and only watch news on French state TV or le Monde. I'm not dismissing French media by any means. However, one needs to vary his sources by following Al Jazeera, Fox, NYT, FT, Guardian, Jerusalem Post, Al Hayat, Pravda, and Chinese media...the best new portal for instant news is Twitter. I did not know that you all do without TV during the school year. Guess what? That is what we do as well and it is the best thing I can do for myself and the kids. Behnam and I are not TV watchers at all so we don't miss a thing. As far as the kids,they go through a day or two of withdrawal at the end of summer but it is amazing how soon they forget about it. The fact that I don't have to negotiate about what is being watched and for how long, I am very happy. Having three kids, there is always an argument as to what one wants to watch and usually what is appropriate for a 10 year old is not appropriate for a 4 year old. It was amazing to see the trasformation my kids went through over the summer due to the (excuse my language) crap they were watching on TV. I was being talked back at and Nina thought she had just turned 16 because she fell in love with Hana Montana over the summer. I am seriously considering not allowing them to watch over the summer unless there is something special on. I agree with you Vida, the kids should not watch TV at all! I also noticed the change in their attitude over the summer, especially little Nina who was so completly hooked on it that even I couldn't tear her away for more than ten minutes. When they come over to my house, I try to rent an appropriate movie for them, just so that it will be a treat and you can't imagine how much they enjoy that special hour.